With Halloween right around the corner, perhaps this dramatic looks created by Emanuele Castelli Make Up will inspire a costume or a night out. Apply Motives Eye Base with the 120 eye primer brush. Cut the crease with Motives Pressed Eye Shadows in Fantasy and Motives Pressed Eye Shadows in Onyx using the 207 angle liner brush and blended with the 219 precision crease. 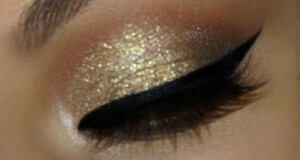 Highlight the brow bone with Motives Pressed Eye Shadow in Blizzard using the 204 crease brush. 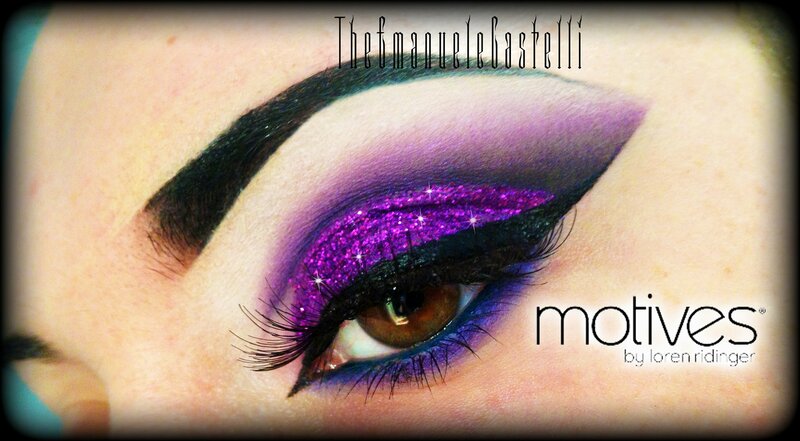 Apply Motives Pressed Eye Shadows in Fantasy on the lid with the 221 all over eye blender brush and Violet Voss “Piper” glitter with a lil bit of Violet’s Secret Weapon or Motives Glitter Adhesive. 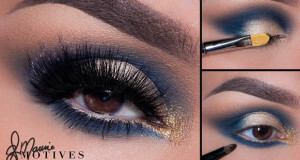 Motives Kohl Eyeliner in Electric Blue in the waterline. 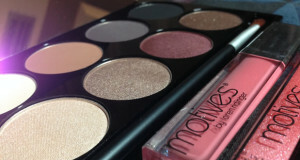 Use Motives Pressed Eye Shadow in Glamour in the lower lash line with the 229 detailing brush. Motives Lustrafy Waterproof Mascara on top & bottom lashes. 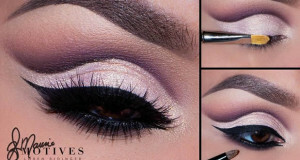 Add the Motives False Eyelashes 110 with Motives Lash Adhesive.